There are many reasons people fall behind on paying their bills. A job loss, hospitalization, moving and failing to change the address with a creditor, or just simply forgetting about a charge are some common reasons. Whatever your circumstances are, owing a creditor does not make you a bad person. However, the way some creditors and debt collectors treat people makes them feel like they have done something very wrong. When this happens to you, you need to be aware of your rights. 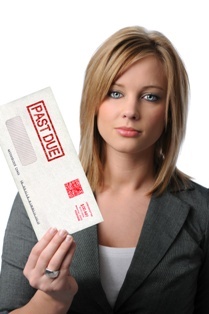 Under the federal Fair Debt Collection Practices Act (FDCPA), you are protected from harassment by debt collectors. In California, you have additional protections under the Rosenthal FDCPA. We explain these important protections here. Even if you do owe the debt you are being contacted about, the collector must provide evidence of it and cannot harass you to try to get you to pay. Enacted at the same time as the federal act, California’s version adds extra protections for consumers. Specifically, while the FDCPA only applies to debt collection agencies who have purchased your debt from the original creditor, the Rosenthal act extends these rules to the original creditors and to their attorneys. California residents are also able to bring actions against violators under both the federal FDCPA and the Rosenthal in federal or state court. It is important that you consult with an experienced California consumer attorney when you believe you are being harassed by a creditor or debt collector so that you may exercise your rights under both the state and federal laws. Debt collectors have continued to engage in these abusive, often illegal debt collection practices, because consumers are not aware of their rights. Many people feel ashamed that they owe debt and believe they have to take whatever a debt collector dishes out. This is simply not true. In many cases, consumers are being harassed over a debt that is not actually theirs, but they begin to doubt themselves because the collector is insistent and makes frightening threats. You have a right to not only stop the harassment, but to collect the fees and penalties violators must pay. When you sue a debt collector or creditor for harassment, you may collect up to $1,000 in addition to actual damages and attorney fees. You have done nothing to deserve the treatment you have been getting over an unpaid debt. Stop the harassment now by contacting us online or calling us directly at our San Francisco by dialing 855.982.2400. Once we take your case, the debt collector must communicate directly with us and you will be left alone. We will pursue all damages you are owed, in addition to the financial penalties owed by the violator. Schedule a consultation with our legal team to learn about your options. Not only can you stop the harassment, but under the Rosenthal Fair Debt Collection Practices Act, you can make the violator pay.